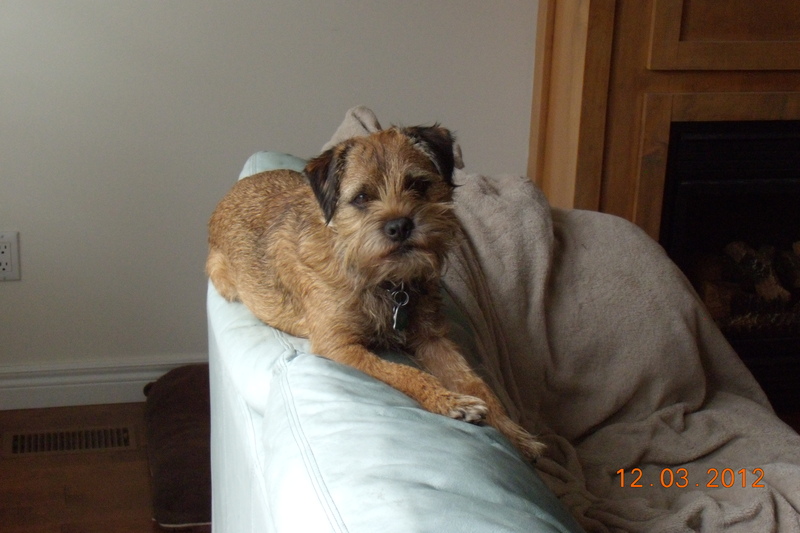 Some might say Bark, my second Border Terrier, acts like a cat. Bark is just happier up high. As are many cats. When Bark goes to Grammy’s house to visit, he climbs the tall staircase and sleeps on the sunny patch of carpet atop the landing. There he can hang off the edge and can gaze out the little port window at the neighbouring roof-tops. At home, he favours the back of the sofa even though windowed doors come right to the ground. A boy up high can see the rabbits and birds and other critters that a ground floor dog never can. And he can stay out of the way of a bossy sister. Sounds like a good plan to me. Where does your Terrier like to hang out? My next post will be other behaviours shared between Border Terriers and cats. 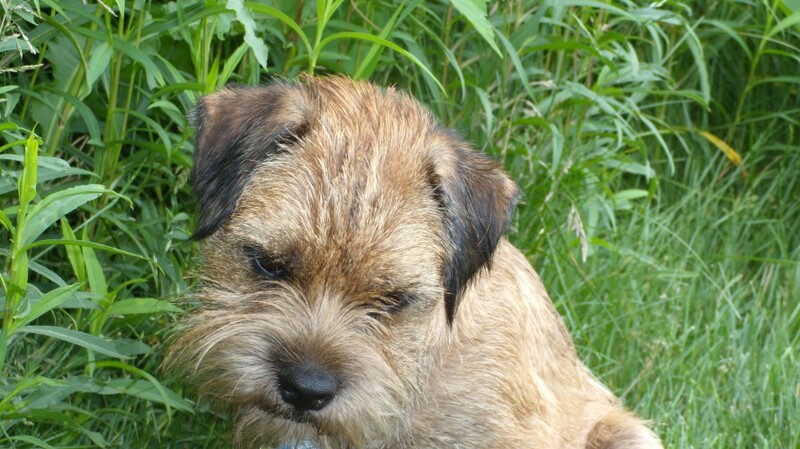 This entry was posted in Behaviour, Understanding Terriers and tagged Border Terrier, cats, dog training, Dogs, dominance model, personal growth, terriers, training terriers by Toni. Bookmark the permalink. I am honoured to receive your nomination for a Liebster Award. Like your blog, the award invites us to look up and out, celebrating the spirit of exploration and discovery. Thanks for the encouragement. Love YOUR questions! Will get right on it. After months I’m finally able to post the Liebster nomination and tag it forward. Thanks again, Tina. Your blog is super. my wheaten terrier is also very cat like when it comes to the couch. she lies on the back of it (like Bark in the photo above) and stares out the window. However she is not little like a cat and has totally compressed the back cushions – not that she cares. What we do for the love of our pups! Bossy is the “vertical” girl in our household, just like your Baffi. She’s the one whose dam looks like your Baffi. FYI. Bossy and Bark are the dogs’ pen names. We’re told people like his real name, too. Thanks for commenting. I think it’s cute that they have pen names 🙂 If you haven’t already, you should read “Stanley and Sophie” – a memoir about a woman who took care of 2 borders, very lovely, touching book. Thanks for the book recommendation. Loo forward to finding it. There aren’t as many books on Borders in North America than there are in the UK. That boy is cute !